This is the essential gift for all shark-lovers. Each card boasts vibrant and accurate illustrations alongside simple annotations pointing out key characteristics. 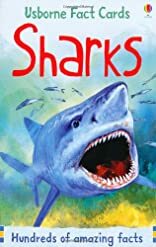 The reverse side holds vital statistics for comparison, such as the shark's size, weight, speed, habitat and natural prey, as well as some fascinating 'did-you-know' facts to impress your friends. About J. Michael Francis (Illustrator) : J. Michael Francis is credited in . A published credit of J. Michael Francis is Iberia and the Americas: Culture, Politics, and History: A Multidisciplinary Encyclopedia (Transatlantic Relations).